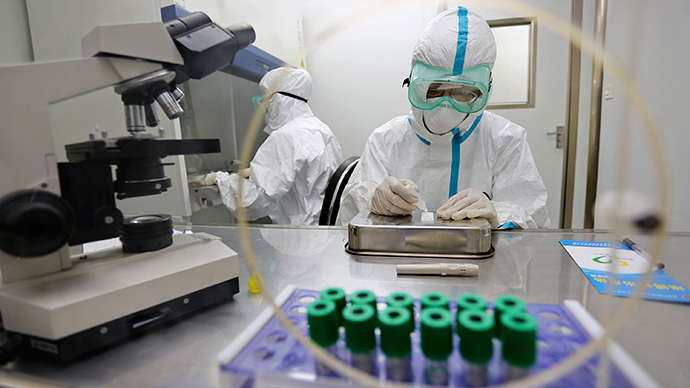 Russian scientists are developing a technology to make monoclonal antibodies specific to the Ebola virus. If successful, the resulting medicine could be available as soon as December. Testing points to a positive effect within 24 hours of administering. Mikrogen – one of the Russian leaders in the market for alternatives to antibiotics first had the idea. 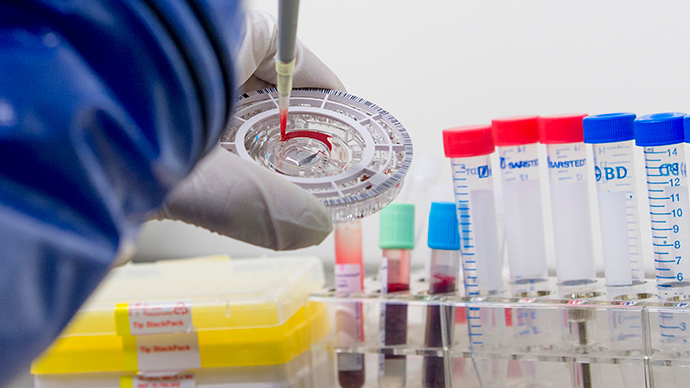 The company partnered up with the health ministry in Ufa, in Russia’s Republic of Bashkortostan, to develop “a system for rapidly diagnosing the virus in human fluids and in the environment." If trials are successful, the company plans to use the lessons to develop medication based off of custom-made recombinant antibodies. They say it would have almost immediate effect on the condition of the patient and that given the green light the treatment could be ready for mass production within two months. 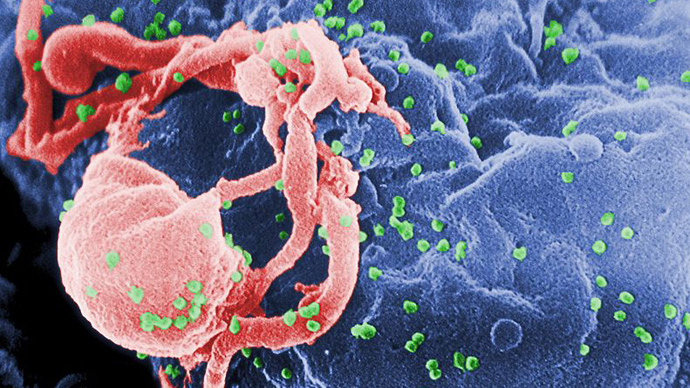 “The use of specific recombinant antibodies is, for the time being, the most promising approach to preventive treatment and therapy of the hemorrhagic fever,” Petr Kanygin of Mikrogen has said on the company’s website. “Compared to other experimental medication, only recombinant antibodies can lead to a therapeutic effect within 24 hours after infection,” he added. Recombinant monoclonal antibodies are created using a technology that engineers antibodies from viruses and yeast, rather than mice. This involves the cloning of immunoglobulin gene segments to create various combinations of recombinant bodies with different amino acid sequences. The correct sequence fitting a specific virus can then be selected. As a result, the ability of antibodies to recognize antigens can be greatly boosted. So can their survival in various conditions and overall resistance to the antigens. The company is certain that existing meds based off of recombinant bodies aren’t a reason to stop making new ones. 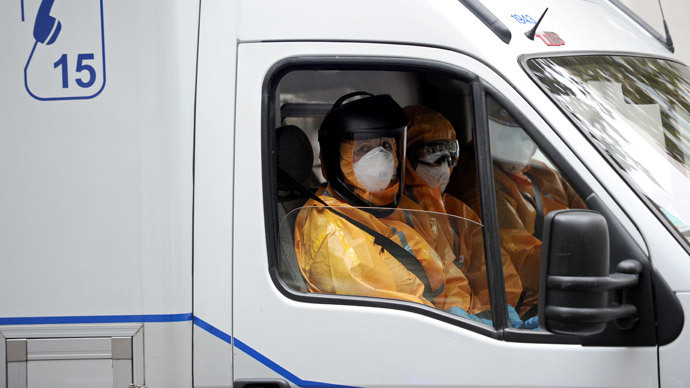 The scientists expressed particular worry that Russia specifically would be ill-equipped to deal with an all-out biological outbreak of the Ebola, if it were to occur. This puts the added onus on the country to develop what it sees as a surefire technology. These developments come on the heels of Russian promises to ship a new experimental vaccine against the virus to Africa. Scientists say the rate of recovery is 70-90 percent. 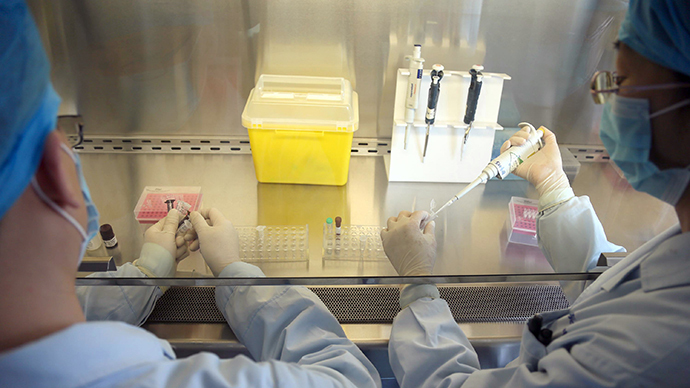 Earlier Russian scientists were working on three separate types of another vaccine against Ebola, one of which is ready for clinical trials at this time, according to the health ministry. 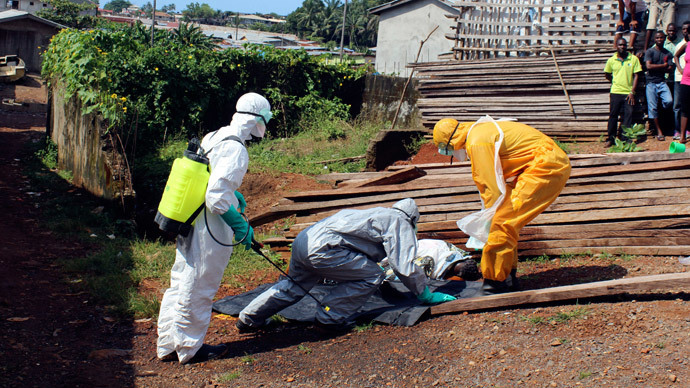 So far, there is now no licensed treatment or vaccine for the highly contagious disease that has killed over 4,000 people in western Africa since the start of the year and has recently started spreading beyond the region.